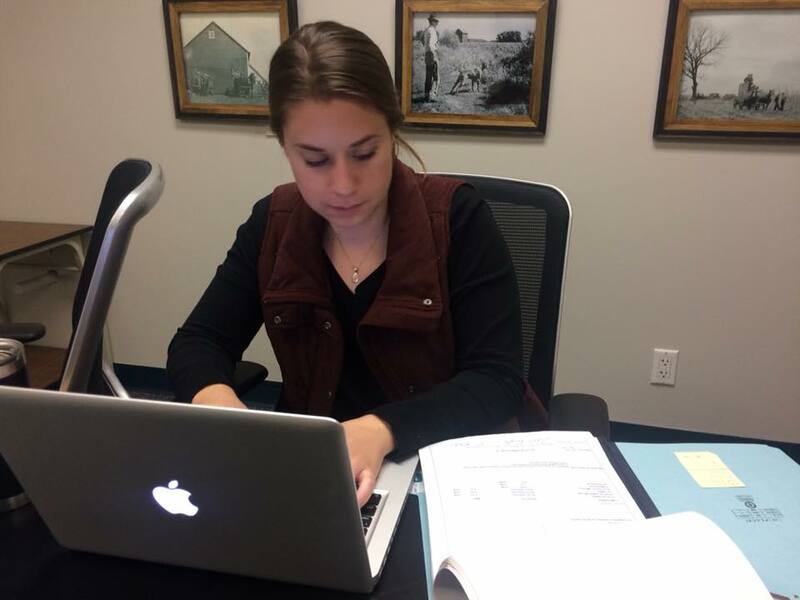 IowaWatch reporter Lauren Wade pores through Iowa Department of Agriculture and Land Stewardship records in late September 2018 for a series of stories. An April 24 IowaWatch workshop in Iowa City will explain how journalists do their work and invite the public to brainstorm news stories. You’re interested in your community and current events and wonder how news about them is reported and written. Now, you have a chance to not only learn that but to be part of a workshop that takes you through the steps of reporting, writing and editing a news story in your community. The Iowa Center for Public Affairs Journalism, which runs the news site, IowaWatch.org, will host a journalism workshop on April 24, 2019, from 6 to 8 p.m. to inform and engage the public in news reporting. The workshop, “Creative Minds: Journalism Workshop Engaging Citizens In the News,” will be in the Iowa City Public Library, Room D, at 123 S. Linn St., Iowa City. 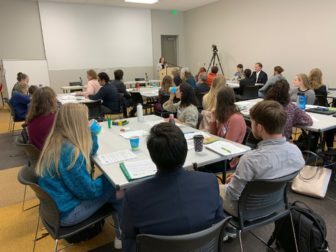 A day-long “Climate of Environmental Journalism: A Regional Summit” in Grinnell on March 5, 2019, brought journalists, researchers, students and educators together to discuss how each goes about meeting the public’s interest in information about the environment. IowaWatch was a summit cosponsor with the University of Iowa Environmental Health Sciences Research Center, University of Iowa School of Journalism and Mass Communication and Grinnell College’s Center for Prairie Studies. This workshop will be open to the public but we recommend confirmation that you will attend through Eventbrite, an online event management platform. Register at this url: http://iawat.ch/Engage. Those who attend will be given the opportunity to hear from several IowaWatch staff about their journalism training experiences before professional journalists from The Iowa City Press-Citizen, The Gazette, and The Daily Iowan share their experiences reporting and editing news. The event will include an engaging activity in which attendees will be invited to participate in brainstorming various news topics in the Iowa City, Coralville and North Liberty region but which also might be pertinent statewide. IowaWatch is an independent nonprofit news organization that specializes in investigative journalism in Iowa. By hosting this workshop, IowaWatch journalists hope to increase awareness of how news is reported and engage the public in that process. If you would like more information about this topic, please call Brenna Beer at (319) 350-7688 or Lyle Muller at (319) 389-4477, or by email at brenna-beer@uiowa.edu or lyle-muller@iowawatch.org. This venture by IowaWatch, with radio station partners across Iowa, plus others who want to promote meaningful conversation about issues in the state, is funded by a John S. and James L. Knight Foundation grant.